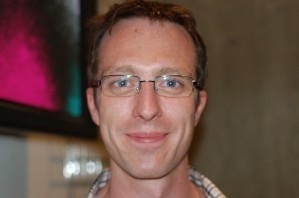 Oliver Quinlan spent two years as a primary school teacher before recently moving to the role of Lecturer in Education at Plymouth University. Previously a music producer, DJ, and IT technician in a nursery school, he is passionate about following big ideas and learning what is needed along the way. As a primary school teacher, Oliver worked on bringing the child centred ideas of Early Years education to older children, and empowering them to take control of their learning in school. He is now bringing these ideas to teacher education. People I meet in education are often surprised to learn that my undergraduate degree was not in technology, or anything related to ICT. In fact, I spent three years at Sheffield University studying History, particularly Early Modern social history. Having moved into a career based on education and technology, it would be easy for me to dismiss the importance of this part of my learning. However, I have recently realised that the study of History has shaped my thinking more deeply than I sometimes think. I always think the importance of History is contrast. Learning about the past gives a different perspective, one which makes us question the way things are today, and how they might be. It is a bit more complex than simply ‘learning from our mistakes’, or even some notion of progress towards some greater, more developed state. What I think it does is provide a mirror we can hold up to our selves; to see what has changed, what has remained the same, and why that is. It helps us to see the constants of being human. Increasingly, I think technology plays the same role. It disrupts and makes us question, creating situations that provide a stark contrast with how things are and how they might be. It is tempting to see this as some model of progress; a movement from ‘Victorian factory schools’ which are now outdated to some new, modern system. Just as with History, I don’t think it is that simple. To oversimplify for a moment, this could produce the argument that in a world of ‘Google’ and ubiquitous smart phones, learning lots of facts in a one size fits all model seems questionable. However, I wonder whether such an approach has always been questionable, we just see it now in the harsh light that technology casts. People from the past were not that different to us, and learning is a pretty natural process. What technology is doing at the moment is perhaps acting as a mirror, revealing that for the last few years we possibly haven’t been catering for the human constants around learning in the most beneficial way. That’s why I think technology matters; not so much because it lets us do cool things, but because it makes us think.